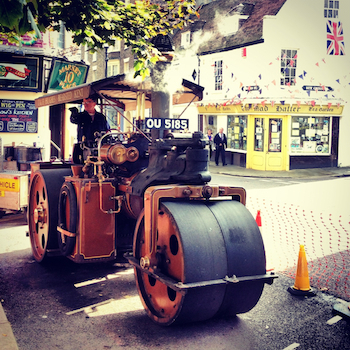 This weekend Margate sees the opening of Pushing Print 2013, a festival of printmaking with an exhibition, talks and workshops and a Giant Print event with steam roller printing. On Saturday 5th Oct I am also running an Open Day at Hello Print Studio, where you will be able to screenprint your own tea-towel, buy prints and other goodies and find out about our workshops and studio hire. All welcome, free event. During Pushing Print, Hello Print Studio is also hosting lots of workshops, an exhibition and our first Artist in Residence, Umberto Giovannini. Umberto will be teaching a very special woodcut workshop on 18th & 19th Oct.
Scroll down for full listings of all the events taking place! Exhibition featuring works that relate to Print by 93 local, national and international artists, talks and workshops on the theme of artist’s books, Giant Print steamroller printing event. 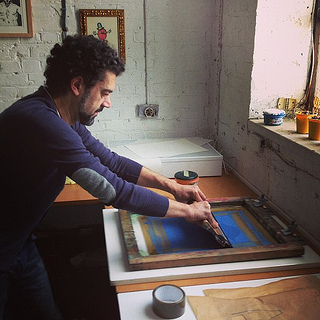 Try your hand at screenprinting and find out about workshops and studio hire. An exhibition of prints, drawings and artist’s books made by Artists in Residence at Opificio della Rosa, Montefiore Conca, Italy. 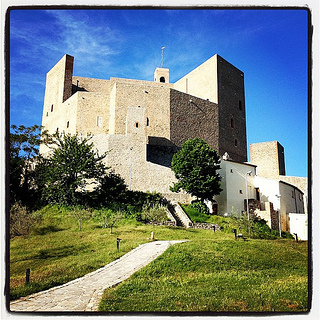 Opificio della Rosa is a low environmental impact studio, set in a stunning Medieval castle, which runs printmaking courses and residencies through the summer. 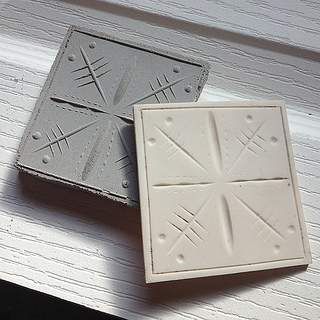 During this morning workshop you will work in Hello Print Studio under the expert guidance of Nick Morley to carve a linocut block then moving into the Materials Lab you will learn to make a mould to cast your block in concrete. This workshop is suitable for beginners and experienced printmakers and is designed to give you the opportunity to create your own cast concrete artwork to display in your garden or house and a linocut block to print from at a later date. £35 / £30 full-time student Book now! Learn how to make woodcuts with Italian maestro Umberto Giovannini. Umberto will show you how to draw, carve and print your design in colour, using techniques he has developed through years of experimentation. £120 / £95 full-time student Book now!